I am glad to announce that @LeanXcale has reached a new milestone and has closed a round of financing of two million euros. The VC fund is @Bullnet Capital, a deeptech investor with a long experience of 12 years. They have helped a good number of startups to grow and exit, the most recent exit being @Zhilabs a few weeks ago sold to Samsung. LeanXcale after piloting the technology with over 20 companies is now doing a number of paid pilots with large companies and will announce very soon its first large customer. In the photo, Bullnet Capital partners, Miguel Del Canizo and Javier Ulecia, RCD and Dalawyers legal teams, Eladio Crego Gil, our CFO and member of the board of directors, and the founders, Marta Patiño-Martinez and myself, after signing the investment. TiE Inflect 2018 announces LeanXcale as a 2018 TiE50 Finalist!! LeanXcale is one of the 100 startups over the world selected as a "2018 TiE50 Finalist" for the prestigious TiE50 Awards Program recognizing the world's most innovative tech startups. LeanXcale was selected for its highly innovative ultra-scalable SQL HTAP database manager. This awards competition is part of TiE Inflect 2018 (previously TiEcon), one of the world's largest conferences for tech entrepreneurs held every year at Silicon Valley since 1992. This year the event will be held on 4-5th May 2018 at Santa Clara. LeanXcale’s CEO, Dr. Ricardo Jimenez-Peris, will be at LeanXcale stand during the event. The Indus Entrepreneurs (TiE) is a not-for-profit founded in 1992 in the Silicon Valley by a group of successful entrepreneurs, corporate executives, and senior professionals. TiE is the world's largest network of tech entrepreneurs. We are a cohesive global network with a footprint of half million entrepreneurs, enterprise executives, investment professionals, and other accomplished individuals. We operate from 60 cities in 16 countries. http://www.tieeco.org. LeanXcale announces the launching of its private beta release. LeanXcale announces the launching of its private beta release. Apply here if you are interested in participating. The company will select the beta testers from the presented candidates. LeanXcale has been featured in the recent article by the European Investment Fund. 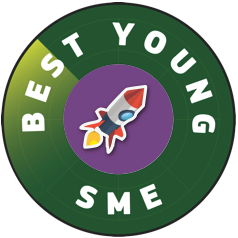 Read our full story from the very first steps as a research prototype to being awarded as the "Best Young SME" with the help of EIF and Bullnet Capital. Read the article here. Visit LeanXcale stand at Big Data Spain, November 16-17, and get a chance to win one of the most trending messenger bags tailor-made in San Francisco. Leave your contact details in the dedicated box and participate in the raffle, which will take place on November 17 at 14.30 at LeanXcale stand. We will announce the winner out of the participants, whose details we received during the two exhibiting days. *In case the announced winner is not present at the physical raffle, we remain a right to randomly select the next winner physically present at the raffle. LeanXcale was announced a winner within the category "Best Young SME" of the Innovation Radar EU competition! Congratulations Ricardo Jimenez for an outstanding pitch and the whole team for doing such an amazing work! It was a tough competition, but a well deserved prize! LeanXcale was announced to be one of the 25 most requested startups by investors at the WebSummit. LeanXcale team gathered in Lisbon to showcase the LeanXcale database to an audience of 60,000 tech expert from all over the world. Today we have reached a new milestone! 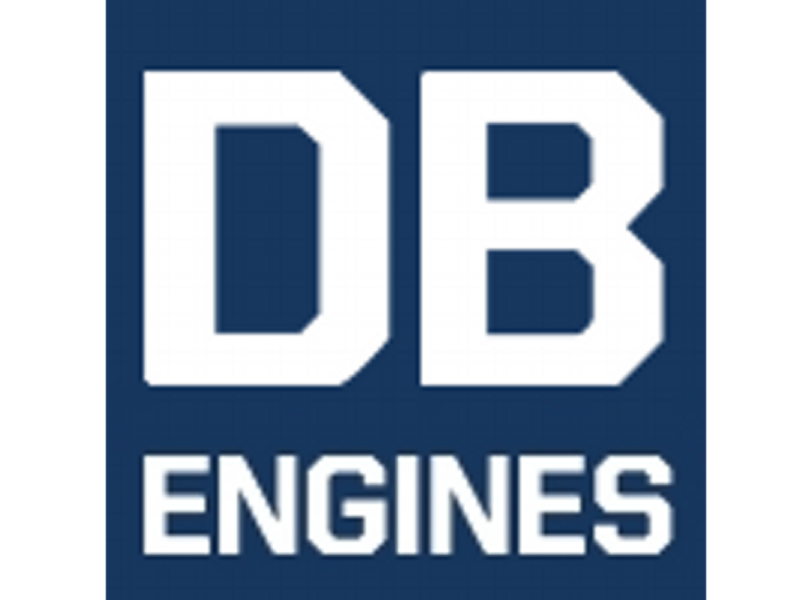 LeanXcale Database is now listed at DB-Engines Ranking of top most popular database management systems worldwide. Our goal for the upcoming year is to reach top positions in the ranking. We will achieve it by delivering ground up disruptive technology and real innovation to our customers, who are ready to streamline their success in the Big Data era. LeanXcale has been selected for the Red Herring's Top 100 Europe, a prestigious list honoring the year’s most promising private technology ventures from the European business region. Ricardo Jimenez, the CEO & Co-fonder presented LeanXcale winning strategy at the Red Herring Europe Forum in Amsterdam. We are happy to announce that LeanXcale has been selected for the Red Herring's Top 100 Europe, a prestigious list honoring the year’s most promising private technology ventures from the European business region. The Red Herring editorial team selected LeanXcale as one of the most innovative companies from a pool of hundreds from across Europe. The nominees are evaluated on 20 main quantitative and qualitative criterion, which include disruptive impact, market footprint, proof of concept, financial performance, technology innovation, social value, quality of management, execution of strategy, and integration into their respective industries. South Summit, the leading tech conference held in Madrid, Spain, has revealed a list of 100 Selected Startups. LeanXcale is honored to be featured in the B2B category.